“We must cultivate our own garden,” famed French writer Voltaire wrote nearly three centuries ago. 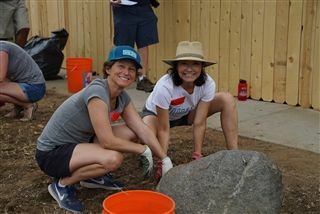 More than 100 Pacific Ridge School faculty took the saying literally on August 17 and planted several drought-tolerant landscapes in Carlsbad’s Barrio, among other projects. Along with the gardens, groups stained fences, identified and catalogued dozens of trees, and restocked and cleaned a dozen Little Free Libraries the school’s faculty installed two years ago. 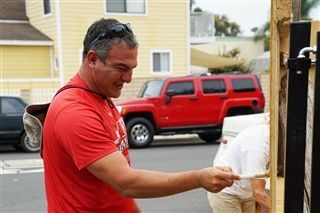 The group partnered with Carlsbad residents Ofie Escobedo and Teri Chalfant, owners of Lola’s 7 UP Market & Deli, the nonprofit Urban Corps of San Diego, and the City of Carlsbad. It was a great day of bonding over service!